This is a good little dessert or a nice piece of candy when you are craving sweets. It’s key ingredient is salt. Salt is very popular today. I’m not talking about table salt (i.e., the Morton’s kind), but more the designer salts that have been on the market for quite a while, but have only now seemed to pick up in popularity. You know, salts like sea salt, smoked salts, imported salts. If you are a unique type of salt these days, chances are you are in some glamorous recipe. Which brings me to our caramels. These caramels are made with fleur de sel. Fleur de sel (“Flower of salt” in French) is a hand-harvested sea salt collected by workers who scrape only the top layer of salt before it sinks to the bottom of large salt pans. Traditional French fleur de sel is collected off the coast of Brittany, most notably in the towns of Guérande, Noirmoutier and Camargue. 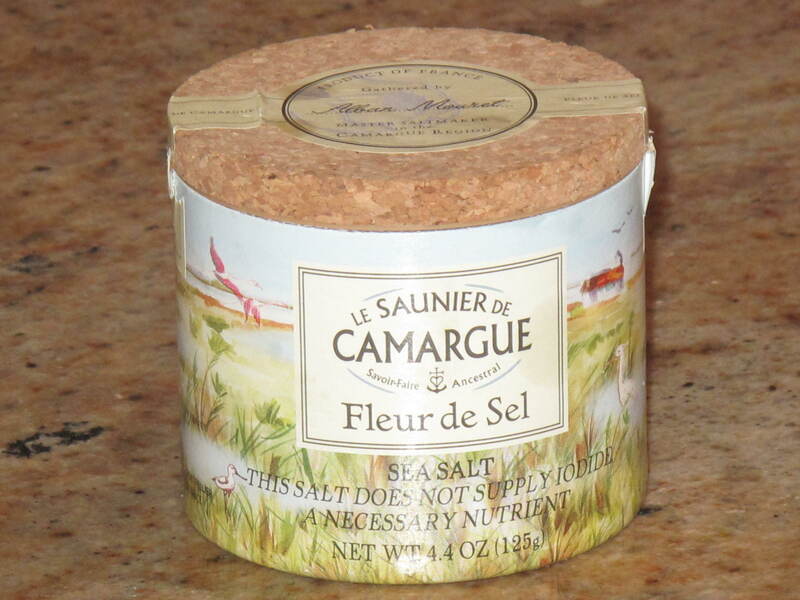 Due to its relative scarcity, fleur de sel is one of the more expensive salts. Fleur de sel is often slightly grey due to the sand collected in the process of harvesting the salt from the pans. Fleur de sel also contains more mineral complexity than table salt. Its presence in these caramels makes for a delicious taste, mixing the sweet and buttery taste of the caramels with the salty and savory taste of the fleur de sel. It’s the right balance that seems to keep people asking for more. I have them on strict rations here on Glen Road, otherwise we would eat the entire pan in a few hours. Trust me, they are addictive. Line an 8-inch-square baking pan with parchment paper, allowing it to drape over the sides, then brush the paper lightly with oil. 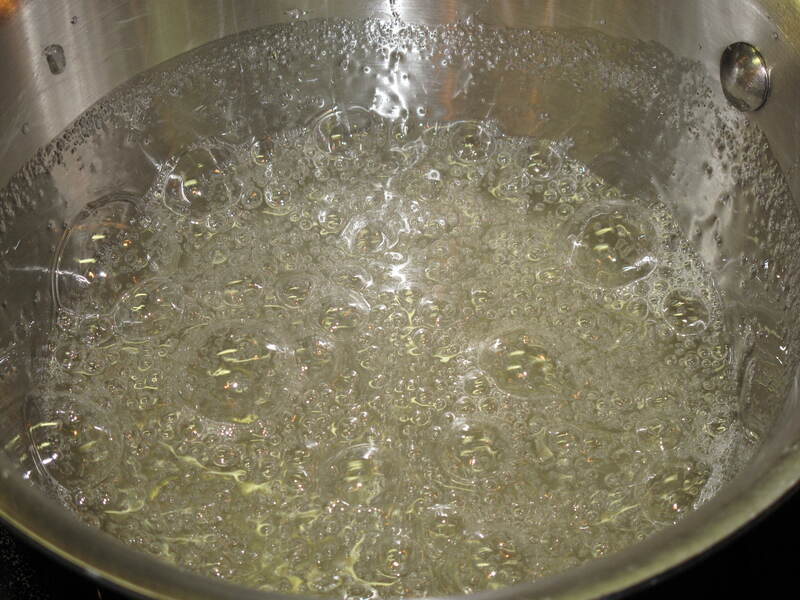 In a deep saucepan (6 inches wide and 4 1/2 inches deep), combine 1/4 cup water, the sugar and corn syrup and bring them to a boil over medium-high heat. Boil until the mixture is a warm golden brown. Don’t stir-just swirl the pan. 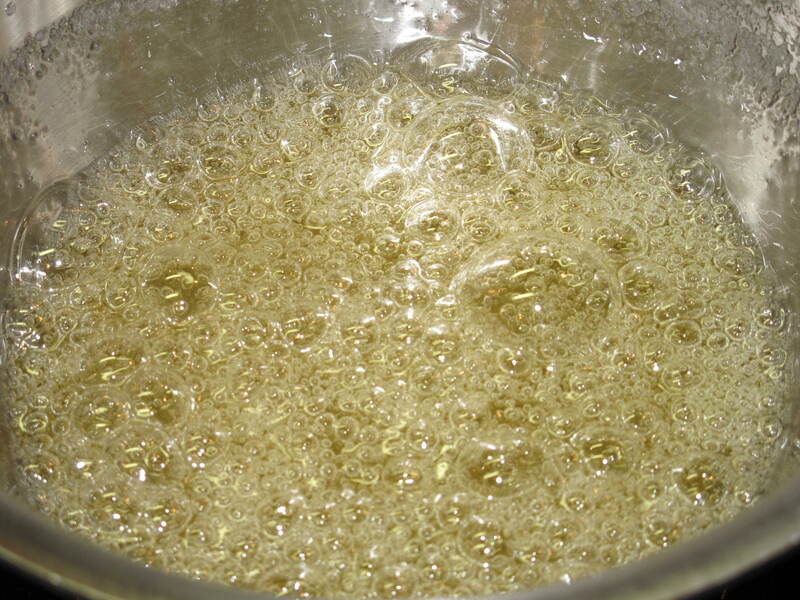 Be careful, when the sugar mixture begins to turn brown, it can quickly go from brown to burnt. Once it turns warm golden brown, immediately take it off the heat. 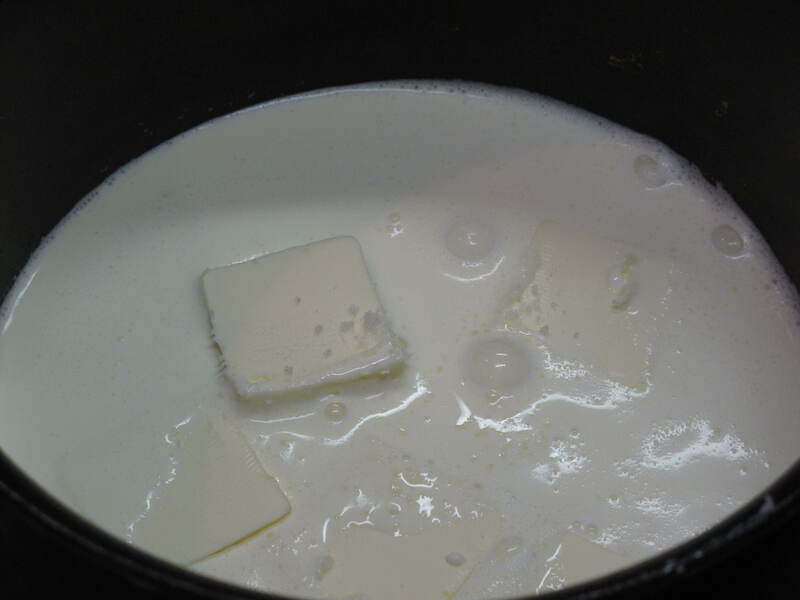 When the sugar mixture is done, turn off the heat and slowly add the cream mixture to the sugar mixture. Be careful as it will bubble up violently. 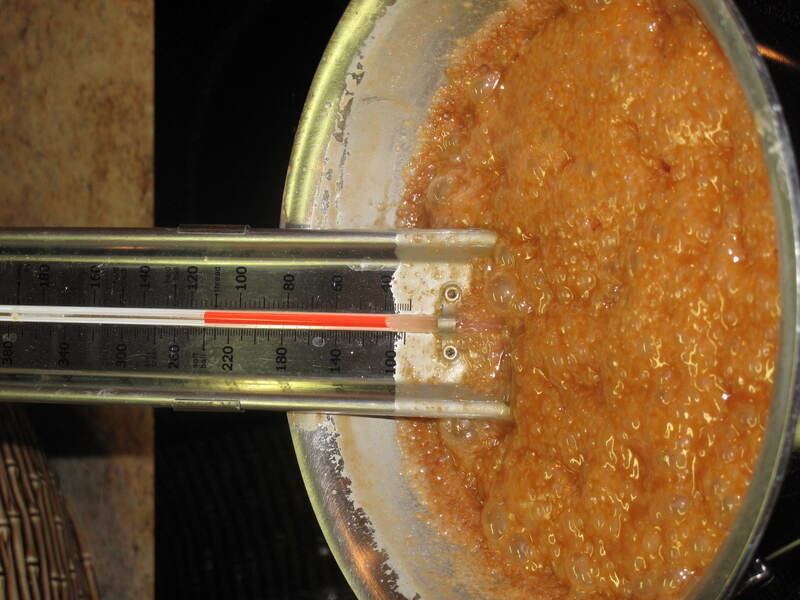 Stir in the vanilla with a wooden spoon and cook over medium-low heat for about 10 minutes, until the mixture reaches 248 degrees F (firm ball) on a candy thermometer. Very carefully (remember that it’s hot!) pour the caramel into the prepared pan and refrigerate for a few hours, until firm. 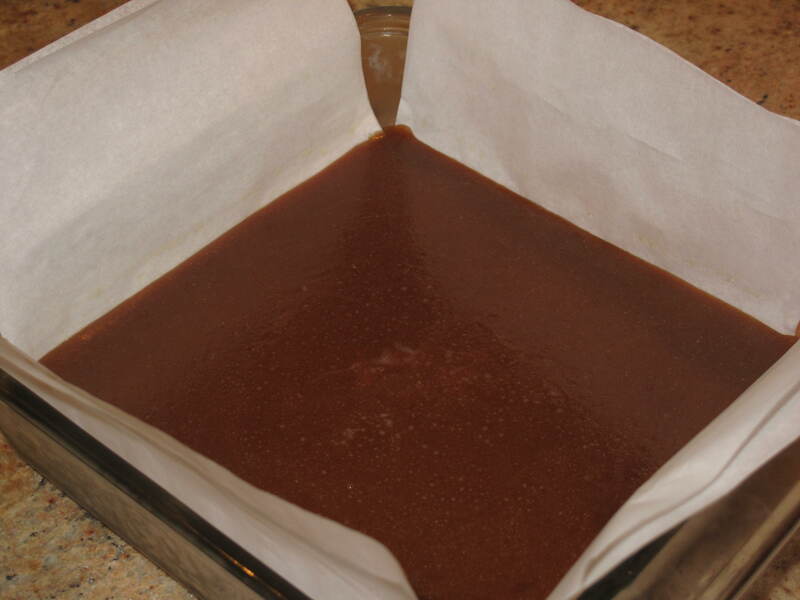 When the caramel is cold, loosen the sheet from the pan onto a cutting board. Cut the caramel into several 1-2″ lengths and then cut into pieces. Sprinkle each piece with fleur de sel. Remember that it’s easier to cut the caramels if you brush the knife with flavorless oil. 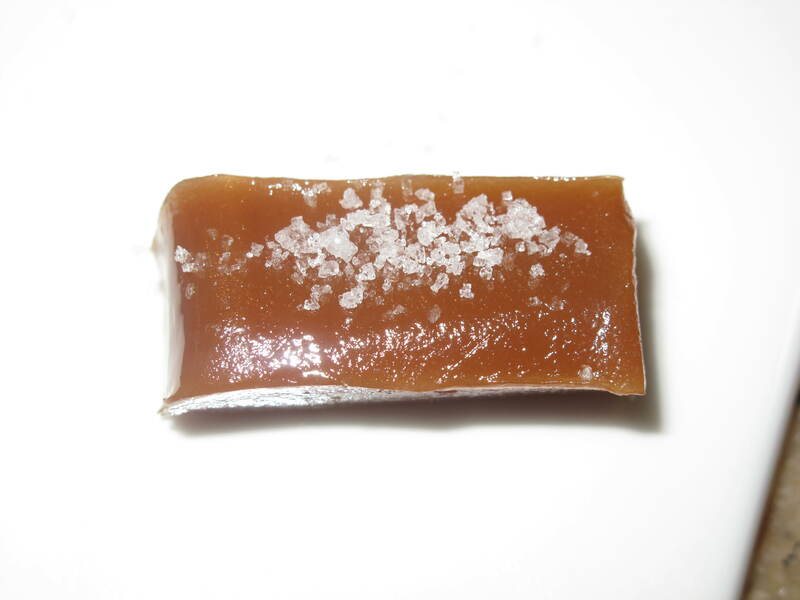 Cut glassine or parchment paper into 4-by-5-inch pieces and wrap each caramel individually, twisting the ends. You can also place the slices directly onto a plate or serving platter. 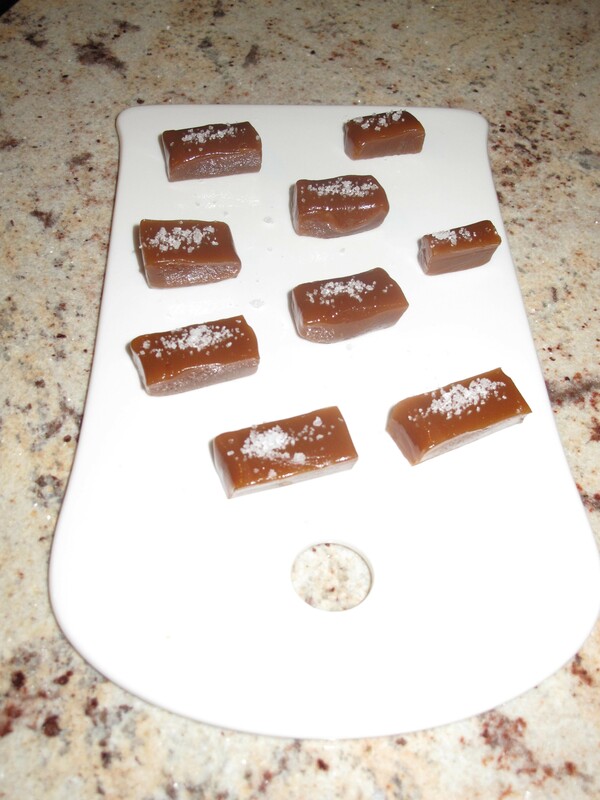 Store in the refrigerator and serve the caramels slightly chilled. We like to serve these caramels on a plate after dinner as a dessert. If it is a large dinner party, we like to place them out with the other desserts for anyone that wants just a little bite of something sweet. Most times, however, we just like to make them and eat them when we need a little candy. Trust me, they don’t usually last too long however you decide to serve them. 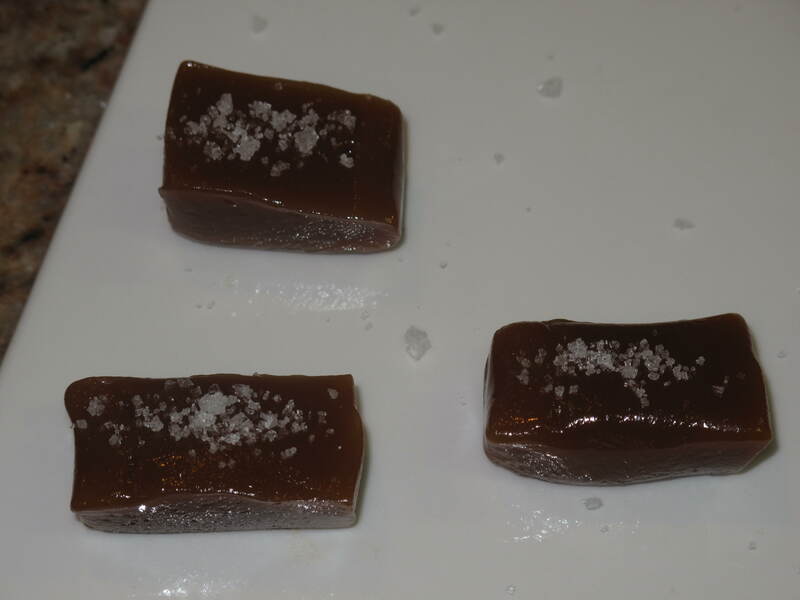 Get into the designer salt craze and give these fleur de sel caramels a try. They are so good, you can’t quit eating them. Your teeth will be stuck together until the last one is gone…trust us! Do you have any recipes you can share on Acorns On Glen that contain designer salt in them? This entry was posted in Food and tagged Baking, Blog, Cooking, Food, Fun, Love, My Life, Photos, Recipes, Spring. Bookmark the permalink. Those look great and I think they’d make great gifts. I’m a big fan of sea salt, but haven’t gone designer yet. I think this would be a good way to start. Hi Rufus’. These caramels are pretty delicious. I’d give them as gifts, but they seem to disappear faster than I can wrap them up. Let me know if you make this recipe and how you like it. Come back and visit soon.